The NUS Registrar’s Office has clarified that while the Yale-NUS graduation ceremony is now recognised as equivalent to the NUS-wide Commencement ceremony in July, the Yale-NUS ceremony is not totally independent of NUS. Yale-NUS degrees are still conferred by the NUS Chancellor, Singapore President Halimah Yacob, separately in writing. While degrees will be presented by the Presiding Officer, Mdm Kay Kuok, during the ceremony, the actual conferment of degrees will continue to be on June 30. We have updated the article with the relevant changes. The 2018 graduation speakers and presiding officers were announced by the graduation committee this week, along with news that the Yale-NUS College graduation ceremony is now autonomous. This year’s graduation speaker will be Professor Kishore Mahbubani, Senior Advisor at the NUS Office of the Vice President (University & Global Relations) and former Dean of the Lee Kuan Yew School of Public Policy. Mr. Mahbubani was selected by representatives from the class of 2018. The class of 2018 also nominated Associate Professor of Humanities and Saga College Rector Sarah Weiss as faculty speaker. Mdm. Kay Kuok, Chair of the Yale-NUS College Governing Board, member of the National University of Singapore (NUS) Board of Trustees, and Executive Chairman of Shangri-La Hotel Limited, Singapore, will be the presiding officer for the ceremony. As Presiding Officer, Mdm. Kuok will have the authority to present degrees. Additionally, the Yale-NUS graduation ceremony is now autonomous from NUS, giving it equivalent status to other NUS ceremonies. The effort to make the Yale-NUS graduation ceremony autonomous was spearheaded by the graduation committee, which comprises representatives from Academic Affairs, the Dean of Students Office, Institutional Affairs, Public Affairs, Residential College Rectors, and Registry. Based on feedback from the community, the committee proposed the idea of making graduation autonomous to President Tan, who proposed this plan to NUS, said Director of Public Affairs and member of the graduation committee, Ms. Fiona Soh. 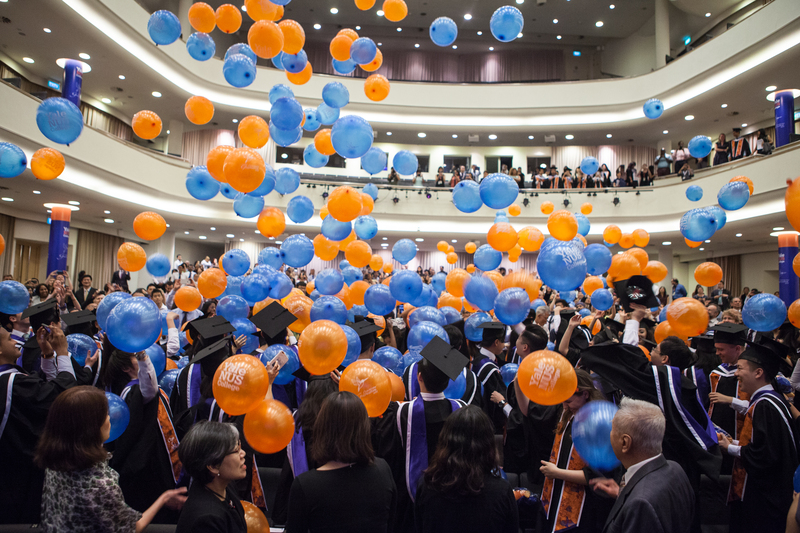 Previously, Yale-NUS had followed the process of official degree conferment in practice at NUS, with its students participating in the NUS commencement ceremony held in July in addition to the Yale-NUS graduation ceremony held in May. Yale-NUS had decided to hold its own private ceremony to accommodate for members of the class of 2017 who could not be in Singapore in July. 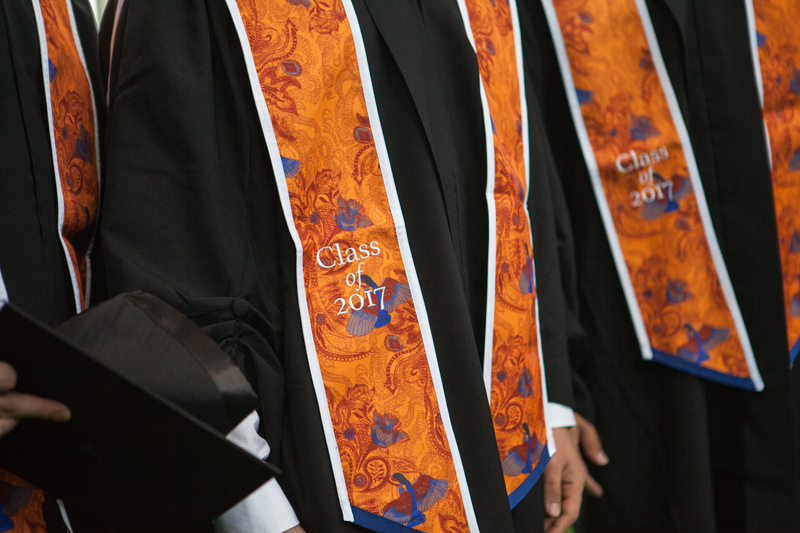 The graduation ceremony will be held on May 28, more than two weeks after class ends. According to Ms. Soh, it was scheduled this way to allow enough time for grades acquired at Yale-NUS to be included so only students who have formally fulfilled the requirements of their program of study get to participate in the ceremony. For this year’s graduation, Yale-NUS will have its own Esquire Bedell carrying the Yale-NUS mace. The Esquire Bedell is an honorary position appointed by the University for each annual ceremony. At Yale-NUS College, the role is rotated amongst Rectors, with Ms. Weiss taking on the role this year. Under the British system, the Esquire Bedell was in charge of the ceremonial dress. Now that elements of the Yale-NUS graduation ceremony can be further customized, the Esquire Bedell at Yale-NUS College will carry the College mace and precede the Presiding Officer in the order of procession. “Making the Yale-NUS graduation autonomous is a positive step and I’m very appreciative of the work the committee has done,” said Jay Lusk ’18, the Student Government representative for Graduation and Alumni affairs.